Does YouTube See Facebook as Real Competition? Jamie Byrne is a bridge builder. As director of content commercialization, the YouTube veteran is charged with pairing creators with the brands he hopes will bring advertising dollars to the platform. On day one of VidCon 2015, the annual confab of YouTube creators and fans in Anaheim, Calif., we sat down with Byrne to talk about how the Google company builds its relationships, competition on the horizon, and the spectacle that is VidCon. Adweek: You've been with YouTube since 2006. Did you ever expect to see something like this? 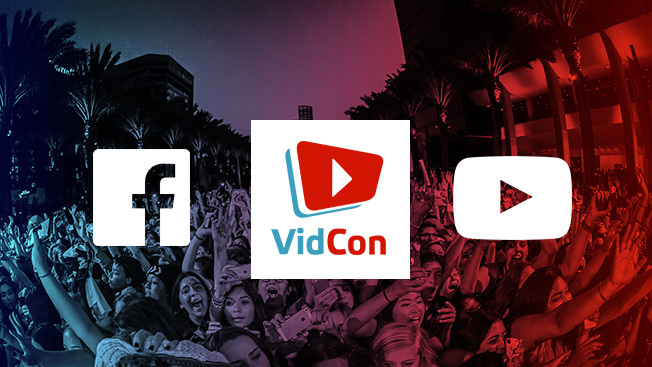 A conference of thousands of teenagers chasing after their favorite YouTube stars? Byrne: When I joined the company, I knew something special was happening. But it was so early, there were only a handful of creators on the platform. There were less than 40 million views a day [current estimates top 4 billion]. The most exciting for me having been here nine years is seeing the platform grow. We're 10 years in. We're a mature company. But we're growing much faster. You're tasked with bringing in new advertisers. What's the biggest challenge there? When you look at VidCon as a proxy. If you were here 4 years ago, there would be one brand here. And today we've got a hundred brands that are here to see the experience.The CMOs are bringing their kids because the kids want to come and meet their favorite YouTube stars. We've seen an incredible shift overt the last three of four years in terms of brands receptivity to YouTube. As an industry our biggest challenge now is continuing to shift dollars from television into video. Facebook is making a real run at YouTube, from the creator side and from the advertiser side. Even GoPro is going to offer a user's footage and license it to advertisers. How do you see the challenge from these platforms? Ultimately, if we're trying to build an industry and if we're trying to shift billions of dollars from television into online video, that's not something one company is going to do alone. We see the entrance of other folks into online video as, one, a validation—we've been doing the right things for the last 10 years—but also it's going to convince all these brand marketers that their audience is shifting and they need to start thinking about their advertising. We see this as an all-boats-rise kind of situation. YouTube is bringing on Susanne Daniels from MTV, where she was head of programming, for the new position of vp of originals. It's clear the audience MTV once owned is now gravitating to YouTube, and other digital platforms. What do you think is behind the hire? Originals is something that is really important to us. We've been investing in the space for the last four years with original channels and then more recently with originals strategy, which is really focused on our biggest creators. Susanne is a really accomplished programmer. She has a great track record of developing amazing content for MTV, and we're super excited to have her here to help us.